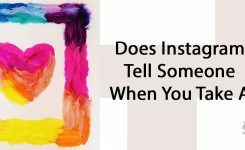 Here’s how it works: Two Instagram users will often agree to give each other a shoutout post on their accounts by posting a photo or a video and instructing their own followers to go ahead and follow the other account. Shoutout posts often use photos or videos from the account they’re shouting out. This is one of the fastest and most effective ways to build followers on Instagram. Unfortunately, getting a great shoutout is not as easy as it sounds. It requires networking with others and a sometimes a willingness to feature other users’ content on your own account as part of the shoutout or s4s agreement. If you want to get a shoutout that gets the best results (a.k.a. lots more followers), there are a few things you should know first. 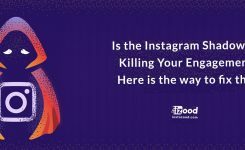 Use the following five tips to guide you on your first quest to getting a great Instagram shoutout. Manners still matter on social media. It’s only polite to engage with the users who you want to ask for a shoutout, and it shows that you’re interested in their content. Try giving their photos or videos a few likes, comment on them and even follow them to let them know you’re serious. Remember, social media—including Instagram—is all about engagement. A little social media interaction can go a long way, and it’s the simplest way to network with others online. Some users get a little too eager about finding people to ask for a shoutout, so they end up spamming tons of photos with comments that say “s4s?” or something similar, without even looking at the account’s full Instagram profile or engaging with them first. That’s not the way to do it. 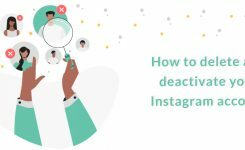 You’ve now done the research by looking for Instagram users who post content similar to what you post and have the same amount of followers as you. You’ve resisted the temptation to ask for an “s4s” by leaving a random comment on a post, and instead took the time to engage and interact—leaving genuine non-spammy comments.